Are you buying or selling a business? Then you need to think about what will happen to your employees. The first step is to get to know the Transfer of Undertakings (Protection of Employment) Regulations, commonly known as TUPE. Read on for a summary of the basics for all savvy, small and medium business owners. In short, TUPE protects the rights of employees when the business or commercial contract that they are working on changes to new ownership. It ensures that employees who find themselves transferred to a new business, retain exactly the same hours and rate of pay as they were contracted to with the old employer. TUPE applies in two cases. Firstly a “business transfer” and then secondly a “service provision change”, there may also be a situation where both apply; e.g. a company outsources specific services. A Business transfer is when a business changes hands to a new owner. To qualify for TUPE the business must remain fundamentally the same after the change of ownership; i.e the employees will be doing the same job for the same clients. This is usually the case in most mergers and acquisitions. A Service provision change can include a number of situations in which work is reassigned. It can be where an activity is outsourced to a third party or vice versa when an activity is bought in-house. It also applies to cases where a contract to provide a service, such as a catering or security contract, is won or lost. 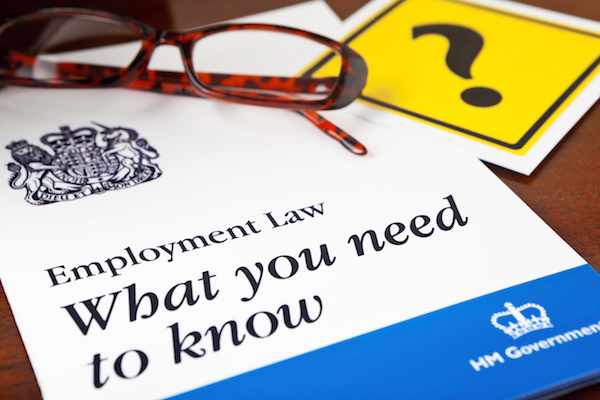 There are a few exceptions to this rule so it’s always advisable to speak to an employment law expert as early on in the process as possible. Does TUPE apply to all businesses and contracts? Whether it’s a multinational corporation, a cleaning contract or a café, TUPE applies to all UK businesses regardless of the sector or size. Who is protected by TUPE? Most employees on permanent or fixed term contracts. Agency workers and those who are self-employed are not covered. If you aren’t sure, don’t worry! Help is on hand, call Citrus HR on 0844 854 670 we’ll be happy to answer your questions. Not quite. So it’s important that you ascertain (in good time prior to the transfer) exactly which employees are covered by TUPE and will transfer with the business (or contract). Generally speaking, if an employee spends 50% or more of their working time on the transferring business or contract then they will transfer with the business. You will also be required to provide key information about the employees who are transferring (if they are transferring from you) not less than 28 days before the transfer. This can be difficult in cases where contracts are lost and the customer has not told you who has won the contract. When an employee spends 50% of their time on the particular service or account that is being transferred, but on paper, they’re assigned to a department or service that is not transferring. This can be a confusing situation. You can avoid this circumstance by carefully considering an employee’s job description in their Contract of Employment (providing it reflects what happens in practice). What about employees who are away at the time of the transfer? Employees who are on maternity/ paternity leave or holiday etc will most likely be transferred. BUT it can get complicated if an employee is off on long-term sick leave. Employees of the outgoing (old) employer who qualify, will automatically become employees of the incoming (new) employer. Retaining the terms and conditions of their employment as outlined in their Contract of Employment and Employee Handbook. An incoming employer may wish to change a new employees contract to bring it in line with those of existing employees. However, they cannot change the Ts & Cs of a contract unless it is expressly allowed in the contract in question (e.g. minor admin changes), or when there are economic, technical or organisational (ETO) reasons for the change to the workforce. It would be considered an unfair dismissal if the reason for the dismissal is the transfer unless there is an ETO reason; e.g. the use of new machinery requires less staff to carry out the work. We strongly advise you carry out due diligence and talk to your staff about how the change may affect them. Explain their rights, and any relevant information about the transfer. It can be an alarming time for them, and they deserve to be part of the conversation. After all happy staff are a company’s biggest asset.